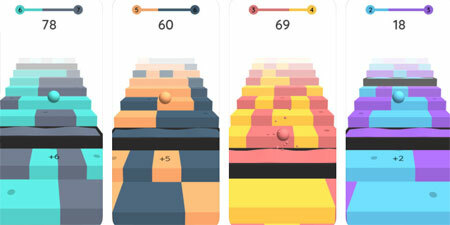 Color Stairs is a colorful addictive ball arcade game developed by Voodoo. Your objective is to jump over colorful stairs and make insane perfect combos. The game features rich visual effects, addictive gameplay mechanics, and soothing sound effects. If you get stuck in the game, check out the video walkthrough and gameplay for the game. This entry was posted in Android Games, iOS Games, Mobile Games, Walkthrough and tagged Color Stairs Cheats, Color Stairs Game, Color Stairs Gameplay, Color Stairs Guide, Color Stairs Hints, Color Stairs Review, Color Stairs Solutions, Color Stairs Strategy, Color Stairs Tips, Color Stairs Walkthrough by Marvin. Bookmark the permalink.